— 2 injured in a road accident near Hasanpur in Keonjhar due to dense fog. — Dense fog disrupts normal life in several parts of Odisha; flight operations delayed in Bhubaneswar. — Annual Dolphin Census underway in Puri, Kendrapara & Paradip. — Odisha CM skips ‘United India’ opposition rally in Kolkata. — Woman Forest Guard posted in Kaptipada forest range of Mayurbhanj dist suspended for burying elephant carcass. — Opposition leaders including SP Chief Akhilesh Yadav, DMK president MK Stalin, former prime minister Deve Gowda, and TDP Chief Chandrababu Naidu met West Bengal Chief Minister Mamata Banerjee ahead of the TMC-led mega rally. — BJP Karnataka State President BS Yeddyurappa calls back all BJP MLAs who were staying in Gurugram. — Delhi: 10 trains are running late due to foggy weather conditions. 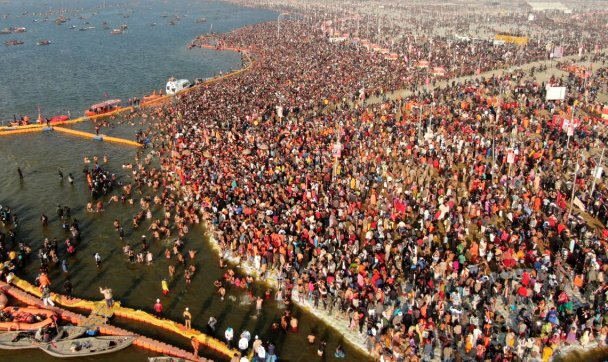 — Kumbh Mela 2019: Devotees take holy dip at Triveni Sangam in Prayagraj. — Women and Child Development Ministry registered an FIR against ICCW for financial fraud. — Delhi’s Patiala House Court reserves order on the bail plea of former Bihar CM Lalu Prasad Yadav in IRCTC scam case. — Rahul Gandhi has appointed Vikramarka Mallu as the Leader of Congress Legislature Party of Telangana. — Kerala: Two women who reached Nilakkal base camp today to trek to Sabarimala Temple, returned after police warned them about the protesters gathered in Pamba. — Petrol and diesel prices at Rs. 70.72/litre (increase by Rs 0.17) & Rs. 65.16/litre (increase by Rs. 0.19), respectively in Delhi. Petrol and diesel prices at Rs. 76.35/litre (increase by Rs. 0.17) & Rs. 68.22/litre (increase by Rs. 0.20), respectively in Mumbai.